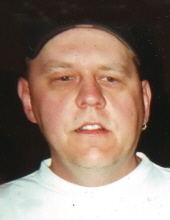 Duane R. Dybevik, 55, of Evansdale, died Friday, Nov. 23 at his home. He was born June 19, 1963 in Waterloo, son of Emil J. and Margaret L. Stumberg Dybevik. He was employed with Fairview Cemetery and various side jobs in the Waterloo area. Survivors include: two sons, Christopher Casey of Independence and Daniel Dybevik of Grundy Center; a step-son, Dustin Stempien of Evansdale; his granddaughter, Kinslee; his sister, Emily O’Connell of Waterloo;beloved nephews and nieces; and his cats, Tom and Fatz. Preceded in death by: his parents; two sisters, Roberta Jo Dybevik and Cheryl Stempien. Services will be 11 a.m. Wednesday, Nov.28 at Waterloo Memorial Park Chapel with burial in the cemetery. Public visitation will be for one hour before services at the cemetery chapel. Duane loved watching sports and working on cars. He was a big Lakers, Sea Hawks, Red Sox and Kansas Jayhawks fan. He loved his teams and watching all their championships. To send flowers or a remembrance gift to the family of Duane R. Dybevik, please visit our Tribute Store. "Email Address" would like to share the life celebration of Duane R. Dybevik. Click on the "link" to go to share a favorite memory or leave a condolence message for the family.